GIVE TO YOUR WILD SIDE! Wild Love Preserve engages public and private lands to address all facets of regional wild horse conservation on home turf, from collaborative work on the range, to those horses permanently removed from the wild by the Bureau of Land Management (BLM). Founded in 2010, Wild Love Preserve's mission is to protect and preserve wild horses in their native environments and nurture the legacy of respective indigenous ecosystems as an interconnected whole, in collaborative, responsible and sustainable manners, with community engagement and benefit. Why: There exists extreme controversy in the West. Social and economic conflict surround our iconic wild mustangs protected by law under the 1971 Free Roaming Wild Horse and Burro Act. There is stiff competition for resources on multi-use public lands between ranchers with grazing permits for private livestock, big energy, recreational use, environmental balance and native wild horses that know this western wild range as home. Designated public lands for wild horses have diminished drastically since 1971. Stakeholders are often locked in opposition when it comes to population count, management and whether wild horses are a native wildlife species. In fact, evolution reveals that the North American continent is the original birthplace of species equus. There are over 50,000 wild horses in longterm holding facilities, while an estimated 35,000 - 40,000 remain on our wild public lands in 10 western states. 53.8 million acres in 1971 is now restricted to 31.6 million acres with 26.9 million acres managed by the Bureau of Land Management (BLM). Helicopter roundups, removals, transport, and longterm holding facilities cost taxpayers over $77 million annually. 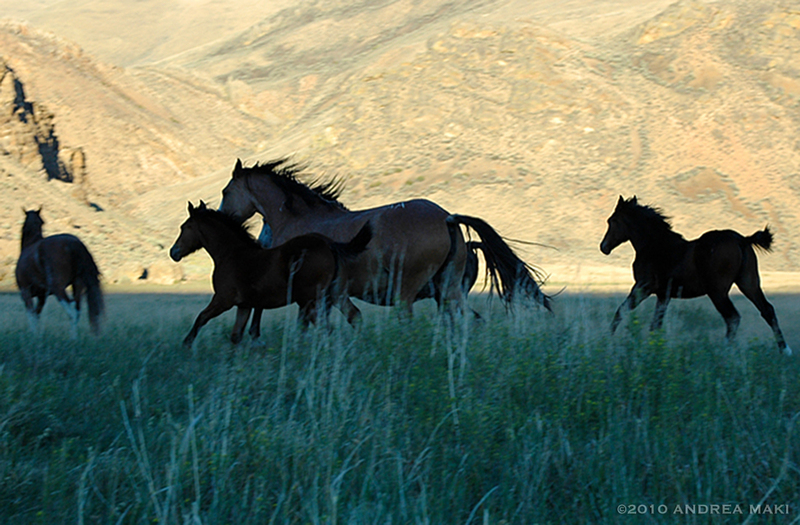 However, wild horses are the ones to pay the ultimate price in capture, loss of freedom, family and often life. The BLM is responsible for managing native wild horses on our multi-use public lands as per the 1971 Wild Free-Roaming Horses and Burros Act. That said, the system is infamously broken and in need of a shift in perspective and the BLM is admittedly looking for new and sustainable wild solutions. How: WLP remains steadfast in our collaborative conservation of native wild horses on public and private lands in a humane, non-lethal, inclusive manner that addresses total ecological health and balance. Our model offers a viable, fluid, all-inclusive option to existing federally funded helicopter roundups, and by design also benefits the immediate community, region and state of Idaho. Due diligence required, WLP has been in motion since April 2010, mending relations, building alliances, opening new lines of communication and subsequently established fluid working relations with the BLM and all stakeholders. 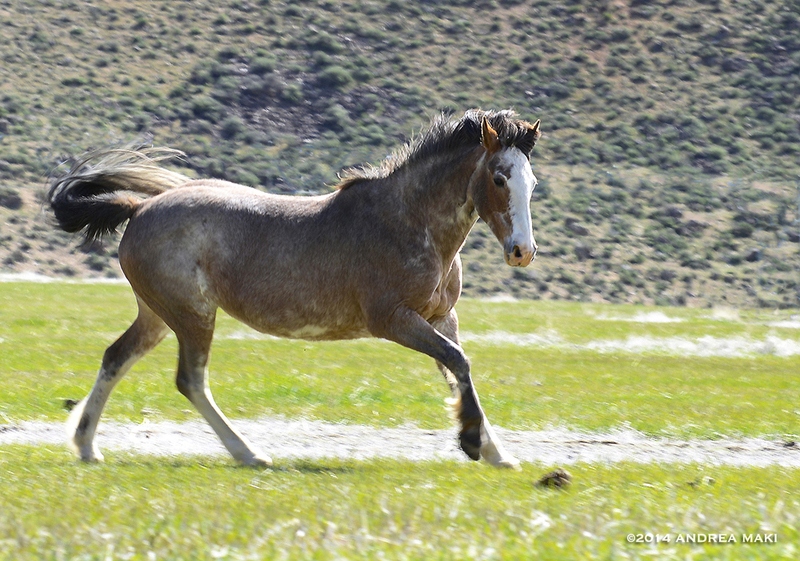 Focus on engaging all stakeholders in a new light to collaboratively manage native wild horses on wild public lands they call home must prove advantageous to surrounding community, region and state with new sources of revenue and job creation, while simultaneously saving taxpayer dollars. Our all-inclusive approach is on behalf our lasting greater good. We work with the BLM, regional ranchers, locals, environmentalists, biologists, wild horse advocates and other interested stakeholders on respective aspects of this large scale, multi-faceted project. While differing views clearly exist and are respectfully addressed, WLP remains steadfast in our efforts to work together and nurture something special by reducing conflict between parties. Wild Love Preserve has garnered growing support from the region, ranchers, environmentalists, wild horse advocates and BLM officials, as we transform what was seen as problematic by some stakeholders, into a proud, lasting asset for community, region, state and nation. Success requires establishment of a vested interest by the community. By way of face to face communications and boots-on-the-ground solutions, WLP has created a new model in co-existence. Our collaborative, approach to addressing native wild horse population(s) on home turf offers a viable and beneficent alternative to the current government system. As result, Idaho is setting a new precedence in responsibly and humanely taking care of their own at home, benefitting the region and state. Wild Love Preserve is an American legacy project. Humane, fiscally responsible, sustainable population management; intent to nurture the legacy of native wild horses in conjunction with all wildlife species within this unique ecosystem on public lands; fluid co-existence with livestock where applicable; to support a healthy, genetically viable native herd and ecosystem in a lasting manner for future generations to equally experience, nurture and treasure. WLP Programs include Responsible and Sustainable Wild Horse Population Management, Research and Documentation, WLP Adoption Project, Education and Awareness, Conservation and Sustainability, Community Involvement, Volunteerism, and Wild Horse Adventure Eco-tourism. By design, our Advisory Council is comprised of stakeholders from all sides representing their respective interests which together speak to the multi-faceted elements of WLP's legacy project and mission. The focus of Wild Love Preserve’s wild horse project in bringing all stakeholders together to work collaboratively with the Challis and Idaho BLM, is unique and imaginative and potentially opens the door to an entirely new paradigm for managing western wild horses. This model, if successful, may change a great deal and we here at the Science and Conservation Center are excited about partnering with WLP in this effort. Download PDF Read: "WLP and Challis Cattle Ranchers"